Adoption. Few words have inspired as much hope and anxiety. Many people develop an idea of adoption based on outdated practices and myths, but in reality, this process can help provide an amazing outcome for the child, the birth parents, and the adoptive family. A is 4 Adoption is proud to be your trusted adoption center nationwide. Unlike rival adoption agencies across California, our center strives to create personalized adoption plans that minimize the stress and wait involved throughout the entire process. We understand the value that our services can provide in creating amazing outcomes for families of all types, and our team will work hard to help place children in need into the perfect homes. Open adoption has become an ideal system for the birth mother, her child, and the adoptive parents. This adoption process relies on communication and openness to ensure the most comprehensive care for the child. Today, we’ll conclude our two-part series by highlighting the benefits of this approach for everyone involved. If you are considering adopting a baby, or you are pregnant and in need of help, be sure to contact us 24/7 for assistance! As the new parents, you want to provide the very best possible care. Part of this commitment comes from knowing everything you can about your new miracle. Open adoption helps to provide answers for important questions, including medical histories, genetic concerns, and more. This process allows for open lines of communication between parties (based on the specifics in your agreement), keeping you in the loop for your child’s health. A bigger benefit of open adoption comes from the role that honesty can play in adoption. Your little one will still have an extension to their identity, and you’ll have a source for support through this process. This adoption process allows for more transparency, giving many parents better tools in explaining where their child came from. Open adoption allows you to have clear boundaries and open communication to ensure that the child receives the very best care! People often imagine adoption as the process of taking a child away from one family and sheltering that child from their biological relatives. Putting your child up for adoption is hard, especially if you think that this is goodbye. 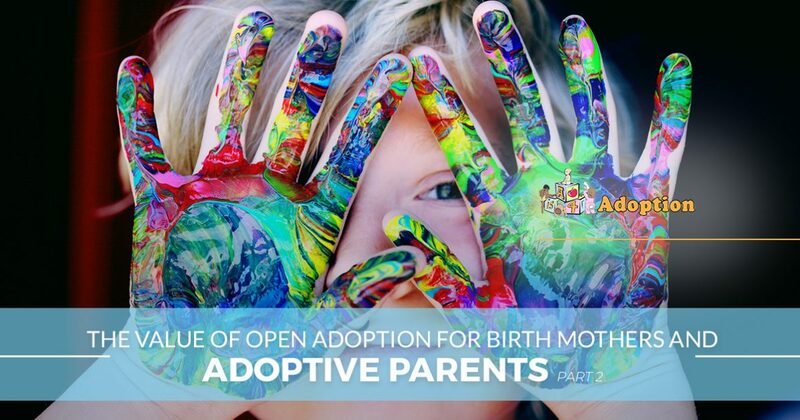 Open adoptions are very beneficial at this junction because birth mothers can know going into the process that this more of a change than a goodbye. Ultimately, this choice may prove ideal if you wish to foster an ongoing relationship with your adoptive family. Birth parents can still play a role in their child’s life, helping to answer medical questions, provide family history, and more. The act of giving a gift to your child may prove to be more rewarding than you realized. Birth mothers hoping to give their child up for adoption do so out of love, and this love doesn’t have to stop at the hospital. You can keep track of your kid’s progress, provide presents at holidays, and play a role in their life more so than any other adoption style. A is 4 Adoption is here to help you every step of the way, from financial assistance to transportation, guidance, and more. Contact us today to see how we provide unbeatable birth mother help! Every aspect of our adoption services is tailored to provide the best outcome for your child. In an open system, the adoptee has more support than ever. Many children face feelings of inadequacy when considering their adoption status compared to biological siblings, and questions of identity can lead to feelings of sadness and isolation. Open adoption allows parents to fill in the details, even bringing the child for a visit if the time is right. By explaining adoption to your child early on, you can instill feelings of pride over anxiety, and give your little one a sense of belonging. Love is the encompassing theme, and the adoptee at the center of it all can benefit from caring compassion from more than one family. Ultimately, open adoption can help your child feel secure and cared for, knowing that everyone involved loves them and wants the best. A is 4 Adoption is here to provide quality birth mother help, adoptive parent support, and a commitment to benefitting the child. We strive to deliver more babies in need into the arms of more loving families. Our team will create a personalized plan that ensures the best fit for everyone. If you are looking for an adoption agency in California to begin your journey, be sure to contact our adoption center today for assistance!